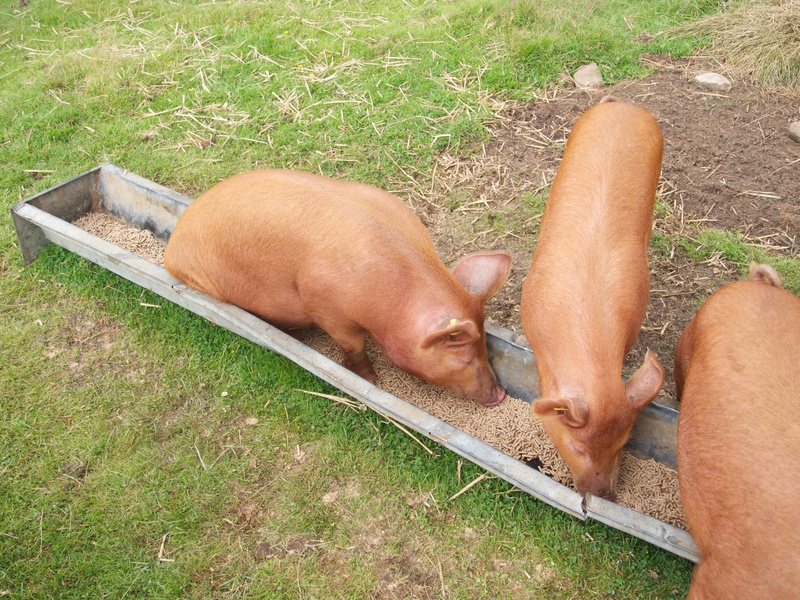 The pigs are now old enough to be allowed to roam free; free at least within about 500 acres. They seem to enjoy it and are doing well, though they are sometimes a challenge to find. I think they meet any criteria of ‘free range’ pigs. Fortunately they still look forward to being fed, and will return to base regularly for food. And as you can see below they like to get up close and personal with their food. 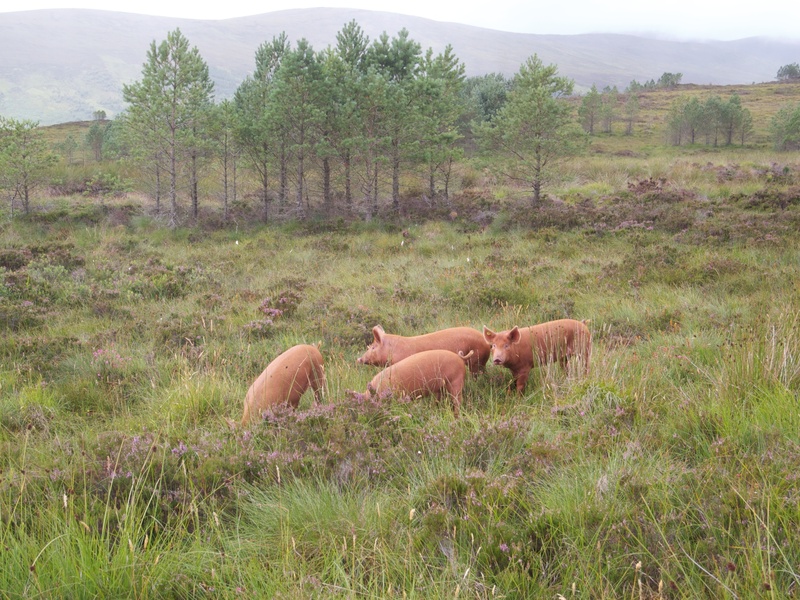 This entry was posted in Uncategorized and tagged Croick Estate, farming, pigs, Scotland, Scottish Highlands, Tamworth Pigs. Bookmark the permalink.